"Fire Nation" trended on Twitter during the eclipse. Astrologers and astronomers aren’t the only ones going crazy about the total solar eclipse on Monday. Even anime fans are totally pumped, especially those that remember Nickelodeon’s Avatar: The Last Airbender epic animated fantasy series. In a world where random people have the power to control the specific elements of Earth, Air, Water, and Fire, certain celestial events cause the powers of these “benders” to wane. 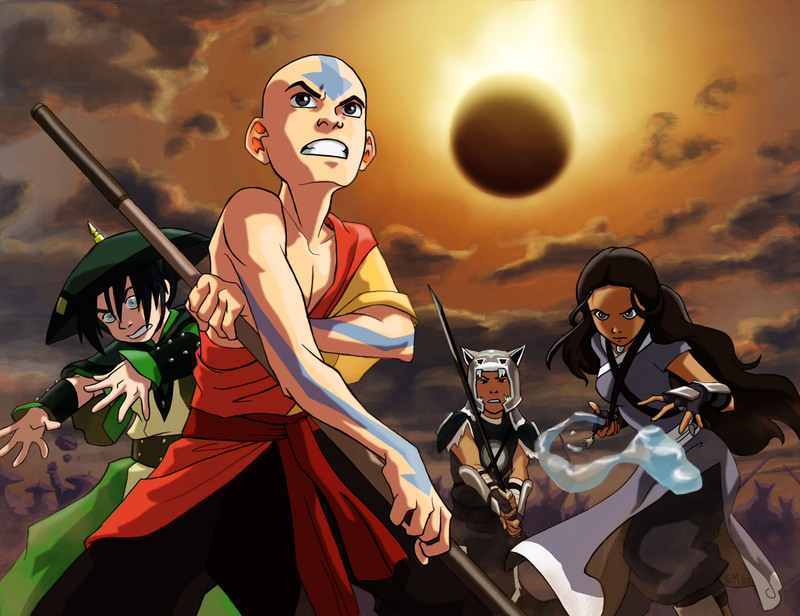 When the total solar eclipse happens in Avatar, the villainous fire benders lose their powers temporarily, and it provides the “good guys” with the ideal opportunity to launch a massive attack. In addition to being a plot device that creates dramatic tension for the duration of the series, the “Day of Black Sun” also serves as the setting for its epic finale. In the series finale, the hero Aang — the Avatar who wields all four elements — confronts the Fire Lord in battle in the hopes of ending a war that had lasted a century. Fans of the show are celebrating the occasion by tweeting about Avatar on the day of the eclipse, enough to make “Fire Nation” a trending topic on Twitter. It’s an important day to remember. Not-so-sneaky sneak attacks are also an option. You can also just be nonchalant AF. Isn’t it cool that the original episode featuring the eclipse aired almost exactly a decade ago? They even wear eclipse goggles in the show itself. Don’t forget some official goggles or you’ll definitely mess up your eyes. Seriously, don’t look directly at the sun. The next Total Solar Eclipse will occur in 2024.